Bourne was strictly a mining town known all over the world for a brief period of time. Located on Cracker Creek, six miles north of Sumpter in Baker County, it was once called Cracker City. Jonathan Bourne, Jr., a Massachusetts lawyer, purchased the Eureka and Excelsior Mine in 1899; soon after, Cracker City changed its name to Bourne. Jonathan Bourne eventually moved to Portland and became a U. S. senator. Gold was discovered on Cracker Creek in 1888 and the town came into being two years later. Bourne was surrounded by some of the best mining properties in eastern Oregon: the North Pole, E & E, Columbia, and others. These mines had a large payroll that contributed to the rapid growth of the town, which soon had a population of 1,500. Mines in the Cracker Creek district near Sumpter and Bourne tapped into what was known as the great mother lode of the Blue Mountains, reportedly one of the world's largest unbroken veins of gold. These mines furnished more than a quarter of the total of $17,000,000 for Oregon's gold output in the years 1896 to 1900. 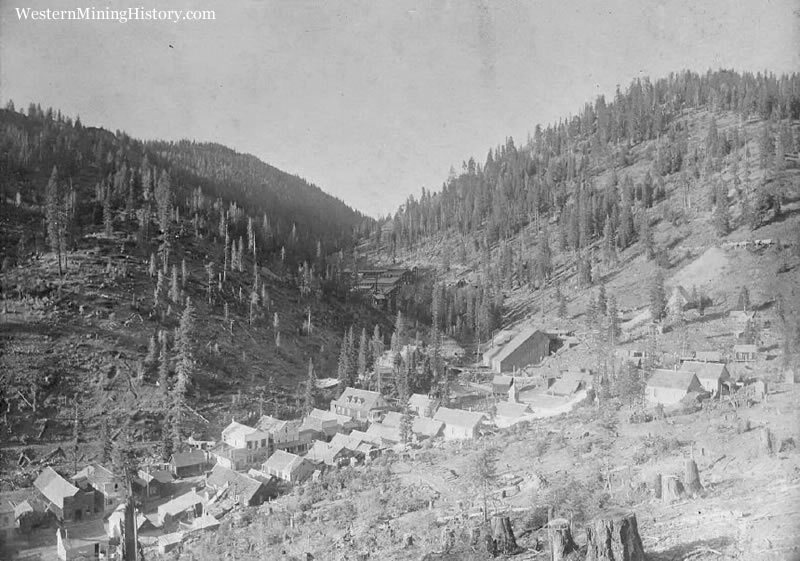 From 1900 to 1908, the Sumpter area produced $20,000,000 in gold; $12,000,000 of this came from fifty-three quartz mines.